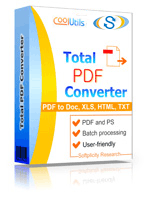 Total PDF Converter has created a revolution in the sphere of graphic and image file storage. This program has opened new horizons in file conversion. It features a series of handy functions, which have boosted its capacity and made it equally good for experienced users and beginners. First, JPEG files are platform-independent and therefore compatible with various systems. Second, they are smaller in size and hence are more suitable for publishing and emailing. 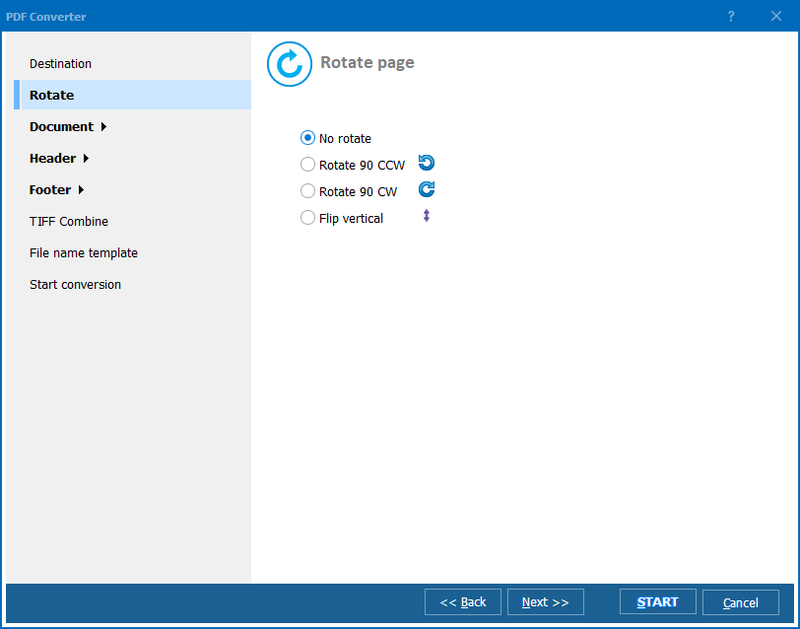 This converter features batch mode, which permits you to manage all the files contained in your chosen folder. It does not really matter whether you load ten or two hundred files. 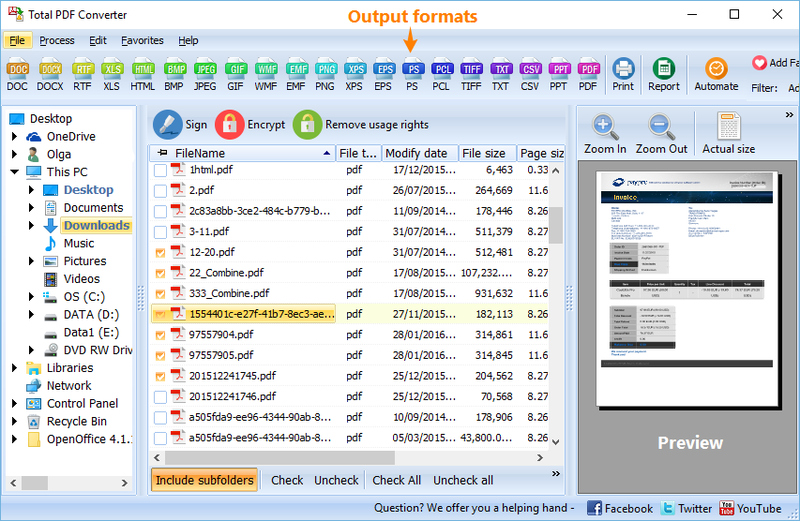 All you need to do is to check your EPS files and select JPEG as a target format. The program has an intuitive interface, so novice users can simply follow it. In other words, they do not actually have to learn how to handle it. If you need to convert an EPS file to JPEG, you should choose the folder containing it in the folder tree, check it in the main panel and select JPEG in the format bar or Convert menu. Next, you should make your settings using the wizard. This is the only challenge for inexperienced users, because they do not usually understand how the choice of some parameters can affect image quality. However, many users do not care much about that and skip it, leaving the default settings, which ensure acceptable output quality. Indeed, it takes a bit of time and patience to understand how the choice of compression rate, for example, affects the result. 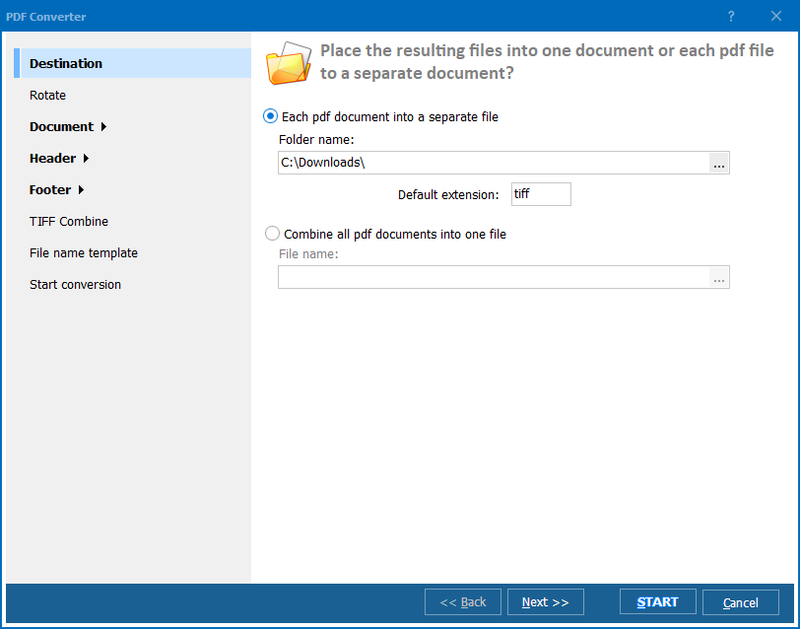 To batch-convert a group of EPS files to JPEG, select the folder in the folder tree and click 'Check All'. All the files in the main menu will be checked automatically. Then select the target format and follow the wizard’s instructions. If you have purchased this utility, you can convert EPS files to JPEG from within any other application using command line. Also, you can convert EPS to JPEG from the desktop via the right-button menu. If you would like to get acquainted with the program’s main functions, download the free 30-day demo version. Convert PS to JPEG professionally. Convert PS to JPEG. Save time, it's easy.